When formulated prior to 1895, regular ACME screw threads were intended to replace square threads and a variety of threads of other forms used chiefly for the purpose of producing traversing motions on machines, tools, etc. For current information on ACME threads, see the latest edition of ASME B1.5. The Stub ACME thread came into being early in the 1900's. Its use has been generally confined to those unusual applications where a coarse-pitch thread of shallow depth is required due to mechanical or metallurgical considerations. Federal Government use. 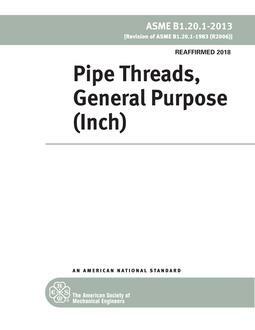 When this Standard is approved by the Department of Defense and Federal Agencies and is incorporated into Federal Standard-H28/13 [FED-STD H28/13], Screw Thread Standards for Federal Services, Section 13, the use of this Standard by the Federal Government is subject to all the requirements and limitations of Federal Standard-H28/13 [FED-STD H28/13].